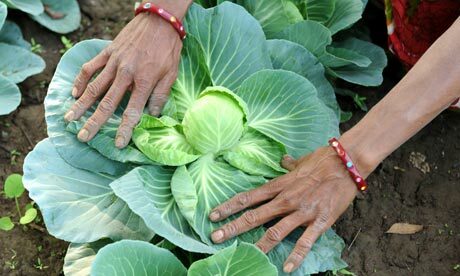 Organic farming is definitely not a new concept to Indian farmers, but is all too often a forgotten one. With the advent of the Green Revolution in the 1960’s, Indian farmers abandoned traditional farming methods and resorted to using chemicals, high-yield seeds and irrigation to improve productivity. While the productivity unquestionably improved farmers’ livelihoods, this movement unfortunately brought forward problems of groundwater depletion, soil contamination, reduced biodiversity among others. In the past 7 years, the country has seen drastic changes. With the increase in demand for organic products in the international market, many farmers have gone back to traditional methods of farming, or Organic Farming. In 2011 alone, India saw organic foods exports worth INR 839 crore (US$140 million). This is less than 3% of the global organic food market estimated at $60 billion (Global Organic Food & Drink market report) which leaves the country with great potential to grow. Indian retail stores were until recently reluctant to keep organic produce, as they feared stocks would not move due to the premium price customers had to pay. But, with rising spending power of the growing middle class in the country and increased awareness towards chemical-free food, the organic and natural products sector has started gaining followers. 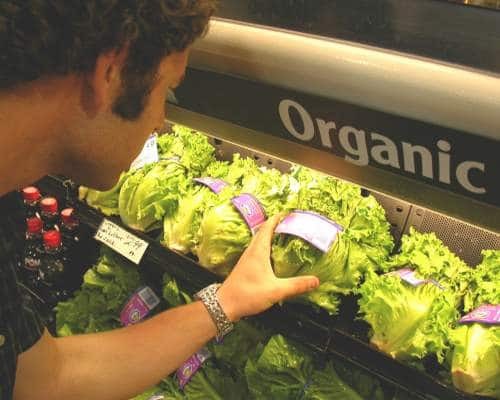 The current market for organic foods in India alone is pegged at INR 2,500 crore, which according to ASSOCHAM, is expected to reach INR 6,000 crore (Approx. $1 billion) by 2015. Farmers have also started to benefit from this shift over the past few years. Income of organic farmers has soared by 30% to 200% as they don’t have to shell out as much for chemical fertilizers and pesticides. They also receive a 10-20% premium on their produce in international markets as well as in India’s more affluent cities. This positive change is also evident from the recent report ‘The World of Organic Agriculture, 2013’ by FiBL and IFOAM (Research Institute of Organic Agriculture and International Federation of Organic Agriculture Movements) which shows that land under organic farming has increased from 4.32 lakh (0.43 million) hectares in 2007 to 11 lakh (1.1 million) hectares in 2013. The country now boasts of 570,000 organic food farmers and 235 organic food exporters. The organic product market is a new and burgeoning space, which will need its own unique supply chain to get to the next level. This is where immense opportunities lie for new process and business models to arise. Entrepreneurs are already betting big on this market with startups providing innovative distribution channels, agricultural technologies, and knowledge sharing systems. One such company is “I Say Organic” with a model that directly connects organic farmers with conscious consumers and ensures fair prices to farmers. “Farm2Kitchen” is another firm which offers an online organic food store. The areas of innovation are many and the opportunities are endless. Unitus Ventures (formerly Unitus Seed Fund) is looking for BoP Startup innovators in the organic agriculture market that can to raise farmer incomes and improve the health of millions of Indians, all while making a good profit for themselves. Unitus Ventures (formerly Unitus Seed Fund) is actively searching for innovative startups that provide scalable, profitable solutions in this space. If you are an entrepreneur who has made initial promising progress read more about Getting Funded.